CERRITOS, CALIF. – R.D. Abbott Company, Inc. (RDAbbott) is celebrating its 70th anniversary this year and is certainly not losing any steam. Rather, RDAbbott is accelerating into an elastomer company that innovates across distribution, manufacturing and applied science with premium products, comprehensive testing laboratories and strategically-located warehouses. But the company’s most prized asset continues to be its people—who help to bring connections, contributions and commitment to the rubber industry at large. Since 1948, RDAbbott has strived to build and maintain the best team in the rubber industry by putting people ahead of profit and by setting the standard for industry engagement and activism. 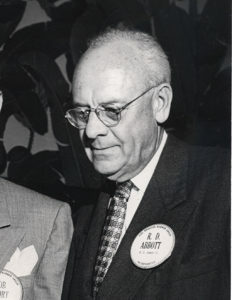 The company’s founder, Robert David Abbott, was instrumental in developing the rubber technology curriculum at the University of Southern California (USC). Today RDAbbott hosts and teaches a similar curriculum at its Cerritos, California, headquarters through a 20-week Basic Rubber Technology course offered by The Los Angeles Rubber Group, Inc. (TLARGI). RDAbbott also provides numerous private training sessions for customers and suppliers, as well as a highly-interactive internship program for college students annually. In addition, RDAbbott technologists teach courses on Advanced Rubber Technology, Rubber Compounding, and Rheology in cooperation with the Rubber Division of the American Chemical Society (ACS) and work closely with other professional rubber and chemical groups throughout North America. The company’s industry engagement even extends to public policy participation, helping shape regulatory decisions that affect the rubber industry.  As a trusted technical resource, RDAbbott has a distinguished history of supporting product development. During the company’s early years, RDAbbott helped LORD Corporation advance solvent-borne Chemlok®, which revolutionized rubber-to-substrate bonding. Later, it helped LORD bring to market the first aqueous rubber-to-substrate products as well as new structural adhesives. Most recently, innovations with LORD include bonding technologies for addition-cured polymers, liquid silicone rubber (LSR), plastics, and other substrates. The rubber experts at RDAbbott are infused with curiosity and committed to the advancement of elastomers. Successes include LSR characterization for mold flow analysis, 3D printing technologies for heat-cured LSRs, and heat stabilization of polymers. RDAbbott has also played an important role in the development of anti-stat additives, highly-thermally conductive compounds, healthcare elastomers, architectural seals and lightweight silicone elastomers for aerodynamic seals.